I’m grateful for the wonderful comments and emails I received on my last two posts, “Recapping Balance and Striving for Peace” and “The End Game of Project 333 and Capsule Wardrobes” (NOTE: both of these posts have been moved over to my new blog). I’m always happy when my writing resonates with readers and I appreciate those who took the time to let me know that what I wrote was meaningful to them. I’m actually quite proud of these two essays, as well as much of the content I’ve published in the past four years. I’ve often written about the “power pause” (a term borrowed from Jill Chivers of “Shop Your Wardrobe”) as a helpful technique for cutting down on mindless shopping and compulsive buying. So many of us feel utterly convinced in the moment that we have to have a particular item of clothing, but if we push ourselves to wait for a couple of days – or even a few hours – that need often dissipates. I use this technique as much as possible, even if it means leaving items in my online shopping cart overnight or having to backtrack to a brick-and-mortar store the next day to buy something. More often than not, I don’t end up purchasing the item in question because the passage of time shows me that it’s just not critical to my wardrobe or my life. I simply don’t need it as much as I thought I did, if at all. The power pause has saved me a lot of money I might have spent on items I didn’t really need or even want. It’s also saved me countless hours spent on making returns, as well as deep feelings of guilt regarding the sheer waste of it all. The power pause can also be applied to other aspects of our lives. “The Minimalists” frequently undertake experiments in which they give up an item, habit, tool, or pastime to determine if it truly adds value to their lives. Giving something up for a while allows us to objectively and deliberately decide if it deserves a place in the finite realm of our homes and our days. The Minimalists have undertaken such experiments with television, smartphones, home internet, and other things many of us believe we could never live without. After the trial period of deprivation was over, they brought back the things they missed, but perhaps they approached them in a different and less overwhelming way. Other things never returned, for the simple reason that they weren’t adding any real value after all. The bottom line, however, is that they never would have known what their true feelings were if they hadn’t made the leap to let go for a period of time. In the spirit of The Minimalists’ experiments, I have decided to press the pause button on this blog. This is something I’ve been considering for a while, but I wasn’t ready to let go. At the end of every year, I always asked myself if I wanted to continue with “Recovering Shopaholic.” After all, this began as a one-year project and I didn’t really think I’d continue it beyond that timeframe. For the first two years, my answer to “Do I continue?” was a clear yes. I felt I still had lessons to learn and information and insights to contribute to readers, so I carried on happily. During the third year, it got trickier. With increased visibility, the critics and trolls came out of the woodwork, attacking not only me but also their fellow commenters. I seriously considered quitting at that point, as it stopped being fun and I didn’t want to dedicate so much time and energy to my posts only to be attacked for what I was saying. When I started my private online Facebook group (which has now been transitioned to new leadership) in August 2015, it was with the intention of providing readers with a safe place to engage with each other, but I also saw it as a stepping stone to ending the blog without leaving people high and dry. I didn’t expect it to take off as much as it has (it’s now at over 1300 members! ), but that’s how I felt about the blog when I started it as well. I’m pleased that both the blog and the group have attracted the interest they have. I really did think I would stop the blog at the end of 2015. While I wasn’t yet “recovered” (and I’m still not and maybe never fully will be…), I wasn’t sure if continuing to blog about my journey was right for me or not. I ultimately opted to carry on, mostly because I received feedback from people who told me my blog made a difference for them and for lack of another creative project I wanted to pursue. I had wrapped up a lot of my identity in this blog and it was difficult for me to ponder stepping away, so I carried on into 2016. Why a Break and Not the End? Towards the end of last year, I started to feel increasingly burned out on the blog. I wasn’t sure what I wanted to say anymore and I had also taken on new projects that were occupying more of my time. It’s time-consuming to write a good blog post and respond to a number of comments and emails, probably more so than most people realize. Thus, I cut back on how often I posted and committed to discontinue the blog after doing my 2016 wrap-up posts. But when the time came, I was hesitant. I wasn’t sure if I truly wanted to say goodbye. I do still have things to say, but I’ve become weary of writing about my wardrobe, shopping, and style. I’ve pondered either changing the direction of this blog or starting a new one, but I’m not yet clear on what I want to do. Thus, I’m taking a break and hoping that clarity will come during my hiatus. No matter what, though, I will keep this site available as a resource for those who are struggling with compulsive shopping, closet chaos, and related issues. I will likely move it to a free platform, as it costs money for me to maintain the site and I haven’t done much to monetize the blog because I felt that was a conflict of interest with its mission. I’ve received countless solicitations to do sponsored posts and include advertisements on my site, but the last thing I want to do is make things worse for my fellow compulsive shoppers by introducing undue temptation to buy. Yes, I want to earn money for my hard work, but I also want to be able to look at myself in the mirror and feel proud of myself and my actions. The latter is more important, but I hope to find a way to combine the two, as I don’t have the physical and emotional bandwidth to juggle many balls in the air. I admire those who seem to be able to “do it all,” but I have to accept that as a result of my illness and my personality, that is never going to be me. I have to do the best I can with my given reality and I’m hoping I can figure out what that is in the near term. I will be back online in one way or another and once I have clarity on what that will look like, I will let you all know. In the meantime, I want to thank all of those who have accompanied me on this journey, whether from the beginning or just in recent months. As I’ve mentioned before, I learn so much from my readers and I’m grateful for all of you, regardless of whether or not you’ve ever posted a comment or sent me an email. Although I’m not as far along in my recovery as I’d hoped to be, I feel confident that I wouldn’t be anywhere close to where I am today had I not decided to put myself out there and share my journey through this blog. The feedback you’ve given me along the way has informed my introspection, choices, and future writings. I’ve always strived to ponder all of the input I’ve been given, even the mean comments, which luckily have been relatively few. The hard questions have made me think and the encouragement has kept me going, but what I’ve appreciated most is those who have opened up to me about their own struggles, journeys, and recovery. It’s been wonderful to feel that I’m not in this alone and even if I never meet most of you face to face, I’ve been able to feel you metaphorically walking beside me across space and time. When I started this blog, my goal was to trade my full closet for a full life. Four years on, my closet isn’t nearly as full as it once was and I’m far happier with what’s in it these days. I feel much more confident in my style and I rate the majority of my outfits as “8”s or higher. I shop a lot less often than I used to and devote far fewer hours to the process of browsing, shopping, buying, and returning than I did previously. I shudder to think of how many hours and dollars I’ve wasted over the years, but I’m pleased that my wardrobe occupies a much smaller percentage of my life energy now. The full life part of the equation is more complicated and I would be lying if I said I have a full life today. I have a lot of work to do in this area, but the question I need to answer is whether or not I want to write about this journey in a public forum and if I want it to be this one. Perhaps after a break, I will feel re-energized and more ready to share once again. I honestly don’t know how I’ll feel, so at this point I’m just going to say so long and not goodbye. I really don’t think it will be goodbye, but I’m not going to say it won’t be. I have to do what’s right for me and put myself first. That’s part of my recovery, as is working on my physical healing, which will remain a primary focus. When I first published this post on February 28, 2017, I mentioned that you could find me in the private Facebook group that I founded in August 2015. However, as of May 8, 2017, I have transitioned that group I founded to new leadership as part of my continued quest for balance and peace. Although I love many of the people I met in the group and remain in touch with some of them, I don’t love Facebook as a medium. I find it stressful and overwhelming with its never-ending feed and visual “noise,” so I need to minimize my time there. I also need to minimize the proportion of my life that is dedicated to clothes, shopping, and style, as that’s an important part of my recovery. At this point, I’m aiming for quality over quantity in all areas of my life, including in my interpersonal interactions. This entry was posted in A Full Life, Behavior & Psychology, Minimalism. Bookmark the permalink. Dearest Debbie, wishing you joy, peace, rest, love and light, abundant creativity, many moonlight walks along the water, wide-open spaces within your days. May your pause bring you clarity and inspiration. But most of all I wish you freedom without dreaded deadlines looming. Thank you for four years of beautiful and heartfelt writing. I look forward to reading your words, here or elsewhere. This was said so beautifully, Terra, and I thank you so much for your kind words and wishes. Also, thank you for your wonderful support over the past four years and for contributing your thoughts here, both with your guest posts and your many insightful comments. I feel blessed to have made many great friends through this blog, including you! Hi Debbie, I have followed your blog for the past two years, which is from about the time I started overshopping. You have helped me and so many many others with your posts and thoughts and made a huge difference. (I am still having trouble buying too many shoes but reduced my clothes buying a huge amount :-)) I will miss you and the blog very much but I sincerely wish you all the best in your pause. Terra is right, your writing is beautiful and heartfelt. Take care of yourself. I’m very pleased to have helped you and others, Jane. Congrats on reducing your clothes shopping and best wishes on getting the shoe buying more under control as well. One day at a time… you will get there! I appreciate your compliments about my writing and your wishes for the future. I have always enjoyed your blog, and it has helped me grow and change since its very early days, but as you know, I agree with your decision to pause, and I’m excited to see what you will do next! Thank you, Deby! Like Terra, you have been with me since the early days and it’s been wonderful to watch your progress. I appreciate your support and friendship. Thank you, Ruth. I really appreciate what you wrote about me and my blog. It has been my honor to share my insights here and I’ve been so happy to have struck a chord with an audience. No matter what I decide to do in the future, I plan to reorganize this site in the near term to make it easier for people to find the content that will resonate with them the most. I hope to be able to make a difference for more people moving forward even if I’m not writing new posts here. Your blog has been the catalyst for so many positive changes in my life. First the shopping and from that came the emotional. I am so much happier and at peace now. I think the decision to pause is a good one, and I hope that it helps you find clarity. Whatever your next pursuit you know I’ll be there to support you. I’m very lucky to be able to call you my friend. I’m very lucky to call you my friend, too, Tonya, and it’s been wonderful to witness all of the positive changes in your life. I’m very pleased that you’re happier and more at peace now. Thank you for your ongoing support – it has meant a lot to me! I wish you the best always. Your blog has helped me along the road to my recovery and for that I’ll always be extremely grateful. I applaud the courage and time it took to write all those posts, especially putting yourself out there. After my guest post, that I was honoured to be asked to write, I realised the courage that took. And in light of my recent health issues I now realised the strength it must take at times also. I have never met you in person ( soon to be rectified😊) but I feel as if I have become a friend also and wish you nothing but happiness. I’m so excited to get to meet you in person, Dianne! One of the best things about this blog is the worldwide connections I’ve made. Thank you for your kind words. I’ve never thought of myself as a particularly brave person, but I know it took courage to put myself out there as I have here, especially using my very uncommon real name. But nothing ventured, nothing gained. I wish you all the best and I hope you will be restored to good health again very soon! Thank you for all of your wonderful,thoughtful posts,and thank you for your kindness and support for all of us! Wishing you health, happiness and peace always! I appreciate your kind words and wishes, Murphy! I wish you all the very best, too. Thank you for sharing your stories and providing a forum for us to share our challenges and triumphs! Best of luck in your new endeavors! May you find both peace and balance! You’re welcome, Kendra. I appreciate your kind wishes and I wish you the best as well. Thank you, Ruthie. I was pleased to be able to meet you and your boyfriend last year when you were in San Diego. I wish you the best with your journey, too! Debbie, I have been reading your blog for the four years you have been writing here, and I just want to say that I am going to miss your posts. I always looked forward to reading about your spending choices and I can see how much progress you have made in simplifying. I hope you find the balance and peace you are desiring. Best Wishes! I’m very glad you’ve enjoyed my blog, Andrea. Thank for letting me know and for acknowledging my progress. I appreciate your good wishes and I wish you the best, too! 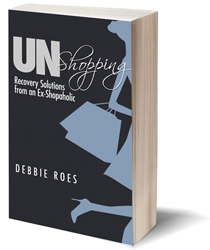 Debbie, I came across your blog not long after you started it, when I was finally facing up to my shopping issues and looking for resources to deal with them. This blog, and subsequently the Facebook group, have made an immeasurable difference to my life. I can’t thank you enough. I wish you all the very best for your future pursuits and much happiness in your life. I’m beyond excited to be able meet you in person in the near future! I’m thrilled to be able to meet you soon as well, Michaela! Thank you for letting me know how much my blog and the Facebook group have meant to you. I feel blessed to have found an audience and help people like you. I appreciate your kind wishes and of course I wish the same for you! Debbie–You have a mission that is in part solidly accomplished, and that is as far as any human can get with anything! I hope you realize those of us who are introverted mull-overs will think of you and your ideas regularly and fondly. Thank you for all that. As a fellow introvert mull-over, it makes me happy to think of you and others thinking of me and my ideas, Helen. You have long been a strong supporter of me and I appreciate that. 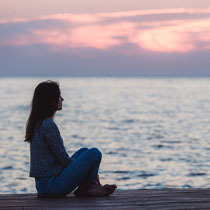 Interesting you should mentioned counseling, as I have a masters degree in it 🙂 It has always been my desire to help people and I’m glad I have been able to do so through this blog. Thank you for your kind wishes and I wish you the very best as well! Thanks for your posts, which are always thought provoking, and your responsiveness to comments, which has been outstanding and must take so much time and effort. I do think this is the right thing to do though. You can’t truly move on until you stop spending time and thought on the blog. I would seriously consider deciding that this is the end not a break, though, or your mind will keep storing up ideas for future posts and keep you from moving on to something else. When I have made complete breaks and changed direction in the past I have found it easier and more liberating that I expected. I hope you do too. I appreciate your thanks and your perspective, Lynn. Yes, it took me a long time to respond to comments, but I’ve enjoyed building relationships with readers. It’s helped me to feel less alone. I’m not sure exactly when it happened, but the blog did start to become counterproductive to my recovery, so that’s why I’ve had to stop it. I’m taking it day by day for now, but I’m sure I will soon gain clarity regarding break vs. end. What I do know is that I don’t want to write detailed accounts of my wardrobe and shopping anymore. It was helpful for a time and I’m pleased that my insights helped others, but I’m ready to place less focus on those areas and more focus on the rest of my life. I hope to have the liberated feelings you wrote about. I want to keep writing and sharing, but I know it will take a different form in the future no matter where it will be. I have sensed for some time that you have come to the end of a road with this blog. Good luck to you in your future ventures. And yes, I used the ‘Power Pause’ myself today in not buying something that I wanted (yet another beautiful scarf) but most certainly did not need. I echo Andrea’s response. I am saddened but not surprised; I will miss your posts. Take care of you. Thank you so much, Sandi. It makes me feel good to know my posts will be missed. I do think I will write online again in the future, but I’m just not sure what it will look like yet. I will definitely let everyone know, though! I just came to the blog in the last few months, but in that short time, you wrote several posts that were quite meaningful to me. Thank you for the help. I hope you find creative and intriguing challenges in your future. And down with internet trolls. They have such stunted lives. I’m glad my posts have touched you over the past few months, Patricia. Thanks for letting me know and thanks for your kind wishes. There are lots of posts in my archives that you may find helpful and I plan to restructure the site to make things easier to find in the coming months. I agree with you about internet trolls! I will never understand their need to put people down and probably never will. I’m just grateful that they are in the minority! You’re welcome, Lori. I’m sure I will be writing more about my gray hair transition, even if it’s not on this blog. What a difficult and growth-inducing journey that has been – and a LONG one, too! I’ve learned a lot along the way, mostly about what NOT to do, so I plan to share more at some point and hopefully save others from the mistakes I’ve made! Happening upon you on The Today Show about a year ago had helped me make many much needed changes. I was on the right track but needed support like your blog and that of the ECC group. I really miss them but I have taken a break from FB groups because I was spending too much time online. Today I started a 40 day complete FB break for Lent and I think that’s going to be quite beneficial for me. My big regret vis a vis your blog and the ECC group is that I was unable to attend the meet up last summer and can’t put the April gathering on my calendar either. It’s just not financially feasible for me. I feel as if I know many of you and it would be a joy to meet in person. Thanks for all you’ve done for so many. You should feel very proud and I look forward to meeting you again online or in person some day. I’m so happy that my blog and the ECC group have helped you to make positive changes, Jan. I understand completely what you wrote about Facebook. As I’ve written about, I struggle a lot with moderating my online time, too, as well as with FOMO and guilt for not being as involved as others are. But we all have to do what’s right for us and I applaud you for taking care of yourself. Best wishes with your 40 day Facebook break! I’m sure you will learn a lot and I hope you will share it. I also hope to have a chance to meet you in the future. I understand about the finances. I don’t think this upcoming meetup will be the last one and hopefully the next one will be more feasible for you. Thank you so much for your kind words! Thanks for all the effort you have put into this blog! I agree it’s time to move on and focus on other things. Wishing you much happiness as you focus on your full life! I need to do the same. You’re very welcome, Tara! I’m so happy we have had a chance to meet and get to know each other. We have to get together before you go back up north! I wish you happiness and a fuller life, too. I think you have already taken some great steps to get there! I will miss you and your outstanding writing and advice, but I certainly understand your need to step back. I do hope that when the time is right you will let all of us devoted followers know of your future plans. My words are insufficient to express my feelings, but in many ways I feel like I am losing a friend, even if only for awhile. I wish you all the best Debbie. Your honesty, openness and thoughtfulness have helped thousands! Best wishes, N.
I really do hope I’ve helped thousands, N, but I would be honored to have even helped just a few. I have never wanted internet fame – I just wanted to help myself and others through this blog and I’m happy I’ve been able to do that. I feel like I’m losing friends as well and I cried after I published this post. It’s not easy to let go, even if it’s not for forever. I will definitely let everyone know what I decide to do, so stay tuned! Best wishes to you, too. Thank you for your honesty and concern for your readers. I have always sensed that you are being genuine without ulterior motives. I hope that sharing has helped with your journey; I have learned much from you. As you take a break, I hope you enjoy rest, peace, and find new new inspiration. Looking forward to what comes next! Thanks and God bless! Thank you for your kind words and wishes, Cynthia. I’m glad you felt I was always genuine with this blog. The sharing did help my journey quite a bit, but when that stopped being the case, that’s when I knew I had to take a step back. I’m hoping to find new inspiration, too. I have no idea what that will look like yet, but I know I still have more to say, so I think I will blog again in the future even if it doesn’t end up being this one. I am thrilled that you are “moving on” though I will miss your insightful writing. I have learned much from what you have personally shared and what others have commented on. I have “pushed the button” to join the FB group. May God bless you for what you have invested in us, your readers. May you find the peace, the value, and the contentment you seek. You are appreciated and cared about by this reader/fan. I’m glad you decided to join the Facebook group, Charlene, and I hope it will be helpful to you. Thank you for telling me that you’ve learned a lot through my blog and thank you for your wonderful blessings and wishes. It means a lot to me to know I am appreciated! It is no easy feat to have helped so many people over the years, whether you ever see the results or not. It is a testament to your bravery and kind soul that you have run this blog for so long and put your life willingly into the fray. Your words have inspired many to think about their own lives and their own issues and for that, the internet community of readers and friends are grateful. Go enjoy your life now. You deserve it. Your comment brought tears to my eyes, Sondra. Thank you for what you said, as it means a lot to me. I know I will never know how many people I touched or in what way, but I’m very happy to have touched you and the others who have commented here and sent me email messages. It makes it all worthwhile to know I’ve made a difference. Thank you, Dori! I will be back online one way or another and I will definitely let everyone know what my plans are. I wish you the best, too. Debbie, I have enjoyed being a reader of your blog, you come across as a genuine and lovely person. Wishing you health and happiness for the future. Thank you so much for your kind words, Cherry. I’m so glad you have enjoyed my blog and I really appreciate your wishes. All the best to you as well! Debbie, you’re a rock star! Why? You’ve changed my life. Since I began enjoying your blog 18 months ago, my closet has become more manageable (and reasonable). I have had setbacks, and I know they all directly relate to life stressors. If taking a break is what you need, don’t worry at all about us. Your archive is ready for us! P.S. This Power Pause button is the perfect way to leave with something quite useful. I’m happy to say I did it last night – and hadn’t read your blog yet! Wow, Catherine, it isn’t every day that I get called a rock star! Thank you so much for your kind words. I’m so pleased that my blog has been helpful to you. Congrats on using the power pause the other day! It’s such a wonderful tool and every though I didn’t originate it, I’m glad I was able to pass it along. I hope my archives will be helpful to you and others, as there are hundreds of posts there. Continued best wishes to you! Well damn, I’d better throw my procrastinating caboose on this train before it leaves the station. I’m not a shopaholic (although I admit to occasional indulgence in retail therapy) but I very much enjoy your writing, especially the posts about developing a full life. I’m a happily married introvert living in North County, growing out my gray and learning to cope positively with a chronic pain condition. If you’d like to get together for a coffee/tea chat, drop me an email. Your comment made me chuckle, Terry, as a fellow procrastinator. Thanks for reaching out to me! It sounds like we have a lot in common and I would love to meet you. The rest of this month is pretty busy for me with visitors coming into town and some other get-togethers planned, but let’s aim for April. I’m happy that my blog has been helpful to you even though you’re not a shopaholic. I never thought my blog would have as wide a reach as it’s had, but I’m pleased that non-shopaholics have also been able to benefit from it. I look forward to meeting you soon! Great, that’ll be fun. If I don’t hear from you the first week of April-ish, I’ll get back in touch here. I know how easy it is to have the time slip by when you’re busy. Later! I’ve had to close comments on all blog posts after two weeks because of a severe spam problem, so you won’t be able to leave any additional comments here, Terry. But you can contact me via my “Connect” page if you don’t hear from me by early April. We’ll make it happen to get together and it will be fun. Bravo Debbie. I’ve enjoyed reading your blog and it’s helped along the way to think more carefully about my habits and closet obsession. Ending your blog is a positive sign of growth and that you are changing as we should. I’ve also taken a pause. The amount of time dedicated to thinking about clothes and shopping began to seem ridiculous and I need to move on from that. I still love clothes and having a good wardrobe of clothes is important for me but I don’t want to think about what to wear all the time and I already have so much. At the moment I am working on a streamlined, edited closet – project 33 style. I’ve also been doing it in my home the past 6 months as I no longer want to spend excessive time looking after things. Good luck and best wishes. Thanks for your comment, Carolyn. I appreciate your saying that I’m taking a positive step with pausing the blog. It’s sad for me to do it, but I do think it’s the right thing at this time. Good for you for taking a pause around clothes and shopping. I can relate to what you wrote about that, as I also started to feel that the time dedicated to that topic was out of balance. I wish you all the best with y0ur Project 333 and downsizing your home. Project 333 was very beneficial to me and I will likely revisit it again from time to time. I think you will find it helpful, too. Debbie, I commend you on your decision to step away for the time being. From your post, it’s obvious that your decision wasn’t made hastily or under duress, but rather has been a long time coming and you’ve had much internal dialogue about it. Without a doubt, you put a LOT of time, effort, care and feeding into building this website, writing the ebooks, writing individual posts, setting up the Facebook group, and all the other behind-the-scenes maintenance that goes along with such an undertaking. This has been a big part of your identity, and perhaps even purpose, for a few good years now, so to take a step back from it has to be a bit gut-wrenching on some levels and yet a bit of a relief on other levels. Stopping something, or even temporarily taking a break from something can be more difficult that starting something because you now have a vested interest in it, time has been spent on it, connections have been made, etc. It’s truly the sunk cost effect. The good news is that it’s not going anywhere. The data will remain for folks to utilize, and you can pick it right back up and continue on should you get the notion at a later date. But to feel obligated or required to continue on when your heart says otherwise can be a person’s undoing. In the spirit of Marie Kondo, maybe you have reached a point in which your website has fulfilled it function for you, and now it’s time to try something new or head in a different direction. A few years ago I was listening to a Freakonomics podcast (by the economist’s Steven Levitt & Stephen Dubner) entitled “The Upside of Quitting”. I HIGHLY recommend everyone listen to this particular podcast episode because it really give some killer insight on why you should “quit often, quit early” and helps push a person out of the sunk cost fallacy mode and into “do-something-else” mode. Literally weeks after listening to that podcast episode, I “retired” from my 20+ year career in hands-on healthcare to figure out what I wanted to do next. After a year or so, I ended up returning to school to get another degree that would help me transition into the administrative side of healthcare. Seriously, listen to that one episode. It’s less than a hour long so it can be taken in during an evening walk, but so so so worth it! For me, it really gave me the “permission” to stop what was no longer serving me, or no longer bringing me joy, or no longer giving me purpose, and to look at other options without feeling guilty, fretting over the sunk cost, worried about what my friends or family might think, etc. I certainly don’t have all the answers, but I’d like to think I have some pretty good insight on walking away from something I had put in years of effort, and thus significant sunk cost. I feel better off for having made that decision when others questioned my sanity, my future, and made not-so-behind my back snarky comments about my decision. You gotta do what’s best for you. Even if that means walking away from something you’ve invested time and effort into. I love your long and thoughtful comments and I’ve been thinking about you and what you said a lot since what you wrote on my last post. It would be amazing to have a chance to meet you, so please let me know if/when you come to San Diego. I actually went and listened to the Freakanomics podcast on quitting shortly after I read your comment yesterday and really enjoyed it. I will likely listen again, as there’s a lot of great information there. They mentioned a podcast about failure at the end, so I plan to listen to that one, too (and probably other episodes, as I found the podcast to be interesting and well done). Yes, my decision to pause the blog (which may or may not be the end) was a long time coming and not done lightly. I have a tendency to stick with things too long and that’s pretty much the case here, too, but I wanted to at least take a breather before I ended up resenting something that has been a labor of love for me for four years. You’re right that it was gut-wrenching for me to do it, though, and I have been on an emotional roller-coaster since I pushed “publish” five days ago. I know it was the right thing to do, but that didn’t make it easy… But yes, it was also a relief and I think I will gain clarity out of having more time and space to consider my options. I love the insights on quitting. I was thinking that I’ve tended to quit things too soon, but upon reflection realize that it’s usually the other extreme, especially in recent years because I have such a hard time making decisions due to lack of self-trust. I commend you for retiring from a long-term career that no longer served you and returning to school in middle age. I am open to more schooling, but since I don’t have clarity about what I would study, I haven’t decided to do that. I don’t think it’s too late for me at age 50, but I don’t want to waste time and money on doing the wrong thing. I like what you wrote about “permission” to stop doing things that didn’t bring you joy or serve you in some way. The “sunk cost” theory is huge, but the issue of “opportunity costs” really popped up for me while listening to the podcast. We often don’t stop to think that when we are investing time and energy into something, that time and energy can’t be used for something else that might be better for us. That’s a big part of why I have paused the blog, as I have limited bandwidth due to my health issues. I do worry about what people think and I also worry about potentially letting people down by stopping the blog, but I have to do what’s right/best for me now, sunk costs or no sunk costs. I really appreciate your support and all of the time you’ve taken to write to me. Due to spam issues, I’ve had to close comments on posts after 2 weeks, but I welcome you and others continuing to write to me via my “Connect” page. Best wishes to you and I hope we get a chance to meet soon. 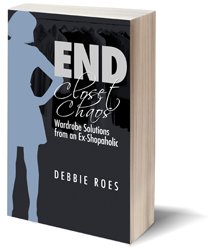 Debbie, just wanted to say thank you for helping me through your blog. I understand as I’m sure other readers do that are ready to change direction. I hope you will continue to write in some way through a blog – perhaps a hobby you are pursuing or about books or films. Wishing you all the best for the future. I appreciate your thanks and good wishes, Sharon. I’m glad you understand my decision and I hope others do as well. I definitely plan to blog again in the future, but I’m not clear yet on where or when that will happen. I enjoy writing and I have more to say on various topics and I’m happy to have an audience. I will keep everyone posted once I know my plans. I wish you all the best, too! How exciting that you are looking towards new adventures. I wish every happiness on journey. Thank you, Dottie! I’m excited for new adventures, too, even though I don’t yet know what they will be… I wish you happiness moving forward, too. Thanks again for your contributions to this blog via your guest posts and comments. Thank you, Liz! I was very pleased to have a chance to meet you when you were in San Diego back in 2015. I hope we will get a chance to get together again. All the best to you, too! Debbie, I love your blog and have learned a lot from it. I love your writing style and your analytical mind. I was inspired by the progress you made in a few short years. But I feel you are making the right decision. It’s a lot of work to put this all together and while it was appropriate when you needed the answers, now it sounds like that energy is better channeled into enjoying the life that you have built/continue to build. I don’t do Facebook but I may just open an account just to see what’s going on from time to time. Wishing you all the happiness in the world. Thank you for your kind words, Jane, and for all of the supportive and insightful comments you’ve left on my posts. I appreciate your validation of my decision to pause the blog. Yes, it’s been a lot of work to do the blog. I was a labor of love, but I’m ready to invest the time and energy in other things, at least for now. I hope you do decide to join the Facebook group. I understand your not doing Facebook and I would probably opt to quit it now were it not for the wonderful group. As it is, I’m working on balance and moderation there, just as with my shopping. It’s not always easy, but it’s another opportunity for growth. I wish you happiness as well and I hope our paths cross again! I’ve followed your blog for a long time, commenting every once in awhile, and have enjoyed your writing immensely. Like everyone else, I hope to see you continue sharing your writing online in the future. I don’t do Facebook – otherwise I’d join ECC. I’ve never done Facebook as I’m afraid it would take my attention away from other things I think are important. However, I’m constantly tempted, only because of ECC. I would very much like to attend a meet-up with you in the future and if the only way I can hear about those is on ECC, I might just have to break down and join. I plan on retiring from 37 years of teaching on July 1 and then will be more able to do things like that. In fact, there’s a conference in San Diego in May that I’ve thought about attending with the idea of slipping out and meeting you for a beach walk, but since I’m retiring, I’ll sadly leave that opportunity for one of the younger teachers at my school. Meanwhile, I’d just like to say thank you for all that you have done to help people in the most thoughtful and intelligent way. I will miss your blog so much as I have unsubscribed from most as I quickly become disenchanted with them. I’ll also miss your monthly collection of interesting articles online that I wouldn’t have discovered on my own. I wish you only the best and I hope you are already finding your way to even more happiness and fulfillment. I really appreciate your kind words, Harriet, and I thank you for taking the time to share your thoughts with me. I completely understand your feelings about Facebook and it’s been hard for me to balance my time there. I’ve heard that there is a smartphone app called “Facebook Groups” or something like that which allows you to just read and comment on groups. That might help some with the overwhelm, but it’s still a challenge. I really love interacting with people there, but it can occupy a lot of time that sometimes needs to be allocated elsewhere. I wish I had the answers, but it’s something I continue to work on and I do better sometimes than others. It would be wonderful to meet you if you ever come to San Diego. I’ve met quite a few readers now and I’ve always enjoyed it. I think there’s a very strong possibility that I will blog again, but I just need some downtime now and a chance to figure out how to do it in a way that works better for me. I have more that I’d like to say and I enjoy having the opportunity to touch people with my writing. I will for sure let everyone know what I decide to do once I know. In the meantime, I wish you all the best as well. I just finished Sylvia Boorstein’s book, It’s Easier Than You Think: the Buddhist Way to Happiness and read a great quote: When you’ve got the message, it’s okay to hang up the phone. Yes, very a propos, Tara! I love that quote and the book sounds interesting, too, based upon its title. I don’t know that I totally have the message yet, but I’m okay with at least putting the phone on hold now so I can better ponder and work with the messages I’ve received thus far. I’ve been a regular reader for almost four years now and have enjoyed your writing tremendously. Due to the laguage barrier (English is not my mothertongue nor the foreign langue I speak best), I have not commented as often as I should, but I have enjoyed every post. I an not a shopaholic myself, but have enjoyed your blog none the less. In my opinion, your writing is so insightful that your reades can gain new wisdom from it even if we are not facing the same challenges. I fully support your decision to take a break, but also want you to know that your posts will be missed! Thank you and à la prochaine! I have always been happy that non-shopaholics resonated with my blog, Hilda. I started out thinking only shopaholics would read, but it was great to build a wider audience. I’m glad you gained value from my posts and I appreciate your letting me know. It feels good to know that my posts will be missed and to receive so much support for my decision to take a break for a while. I relate to your starting a new chapter that will support where you are now. Your writing has been clear and you have brought many new introspective ideas to my life. Thank you, Debbie. You’re welcome, Cheryl. I’m very happy that my blog has been beneficial for you and I thank you for your support. Debbie – I think your blog has been a great and I totally understand that you may have said all you have to say about the topic. It’s not like you’d move onto posting “outfit of the day” shots or pitching items. You’ve really given me a lot to consider and I appreciate your sharing your experience, which has taken a lot of courage on your part. You get a call out from me — job well done! I don’t know if I’ve said all there is to say on the topic, Ginger, but I’m weary of saying it at the moment. Who knows how I will feel in a few months, but I definitely don’t plan on pitching items or posting my outfits of the day (I’m far too self-conscious for that – it was hard enough to include photos of myself in support of the concepts I wrote about!). I appreciate your kind words on my courage and job well done and I’m happy that my blog has been helpful to you. Yes like everybody else I have gotten so much from your blog and will miss it. But it is time for you and all of us to let go and move on. Thank you so much for the ways you have made me think differently, you have improved many lives I’m sure. All the best to you. It feels good to know I will be missed, Cathie, and I’m happy that my blog helped you to think differently and improved your life. I wish you all the best, too! Thank you, Joanna. Best wishes to you, too! Debbie, I feel very selfish for saying this but I don’t want you to stop blogging. You have been such a help to me since I discovered you last January. I had a terrible handbag addiction and through you I have been able to donate 20 handbags this year and drastically reduce the number of bags bought. I so looked forward to everything you had to say. I wish all the best for you and will be waiting to hear from you again. Thank you so much for your gift of writing. I’m very happy that my blog has been helpful to you, Cindy, and I appreciate your letting me know. Congratulations on being able to let go of so many handbags and buying far fewer than you used to – that’s wonderful progress and you should be proud! I will likely be back at some point and in some way, but I need this break now. In the meantime, I have a large archive of posts that you can check out: https://recoveringshopaholic.com/archive/ You can view posts by category or month there and you can also search by whatever term you’re interested in via the search box in the right sidebar on every page. I hope you will find more value in my older posts since you only discovered the blog a little over a year ago. I wish you all the best with your continued growth and progress! Your blog remains a source of timeless wisdom. Thanks for leaving the posts–i’m sure many consult them often. You’re welcome, frugal. I appreciate your kind words. I hope that people do continue to find value in my blog posts for many years to come, regardless of whether or not I will be writing new ones.